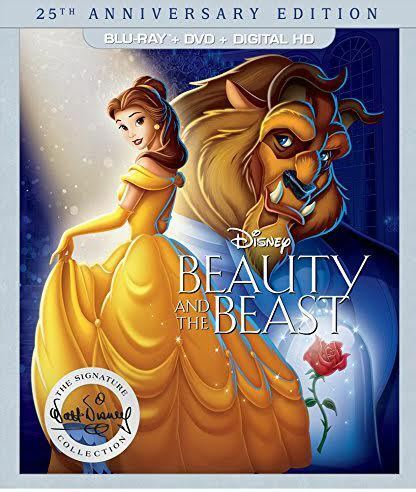 Disney's class film, Beauty And The Beast releases its 25th Anniversary Edition September 20. 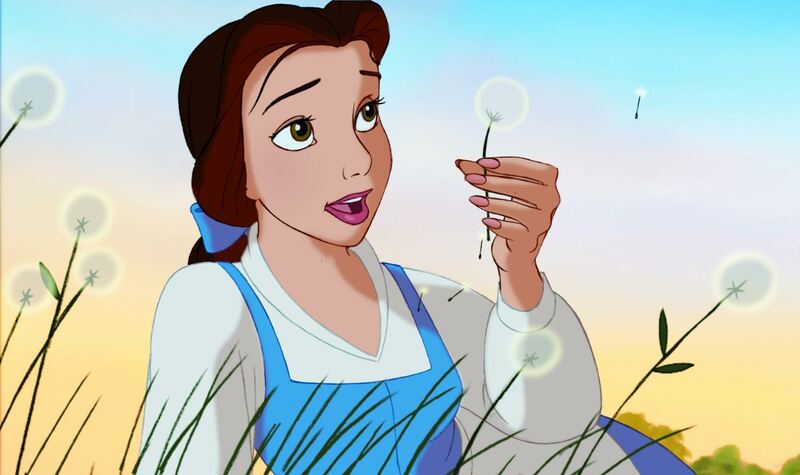 Universally acclaimed as one of Disney's finest animated features and honored in the Walt Disney Signature Collection, the story follows brave, independent Belle on the adventure of a lifetime as she sets out to rescue her father and finds herself in the enchanted castle of a mysterious beast. This timeless tale overflows with unforgettable characters and Academy Award(R)-winning music (Best Song, Best Score, 1991)! It took more than 600 animators, artists and technicians three and a half years to complete the project. This was the first animated Disney feature scripted by a woman, Linda Woolverton and marked the first time each animator was credited on screen specifically for the character he or she brought to life. Disney's animation department won a Scientific and Technical Academy Award for the design and development of the Computer Animated Production System used to make the film. It truly is a treasure. KIDS FIRST! Film Critic Gerry O. comments, "With its humor, spectacular animation, character design, story and adventures, this story is truly one of, if not, the best that Disney Studios' has ever made." See his full review below. It's been 25 years since this wonderful Disney Animated film found its way to viewers and forever captured their hearts. Since then, there have been dozens of other animated classics, but none leave the impression that Beauty and the Beast does. With its humor, spectacular animation, character design, story and adventures, this story is truly one of, if not, the best that Disney Studios' has ever made. Beauty and the Beast has many different genres, the main one being romance. Along with that is a sense of adventure and excitement. The film also has its share of exciting scenes that keep you on the edge of your seat almost the entire time, even if you saw it many times before. It begins when Belle (Paige O'Hara), a young girl in a village, has to rescue her father from a big and scary Beast living in a dark castle. 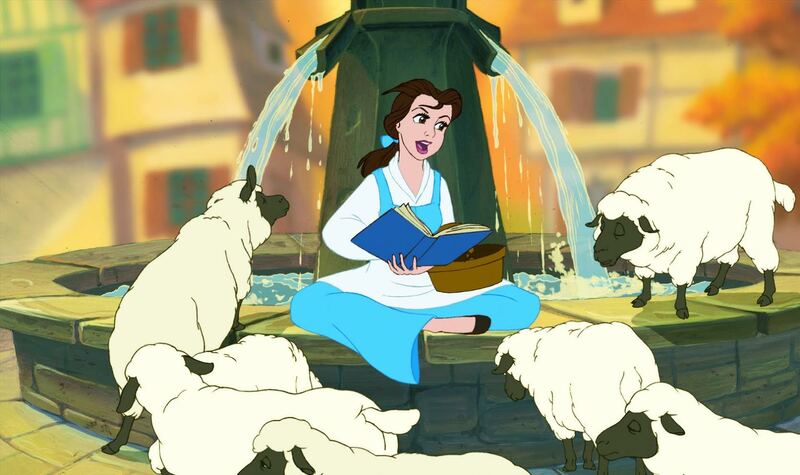 Belle then has to stay in the castle for the rest of her life to free her father. It turns out that the Beast is, in fact a prince, under a dark and magical curse. 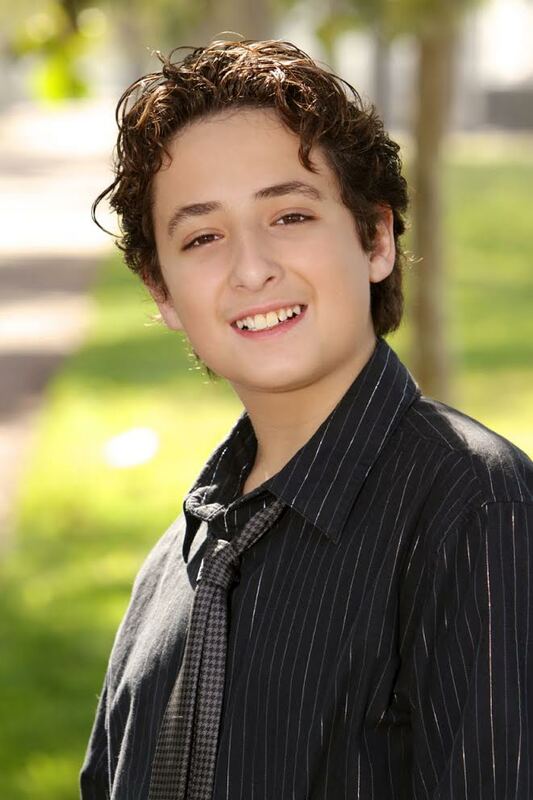 This curse makes him a horrible Beast and the only way to break it is to find a girl that will fall in love with him. 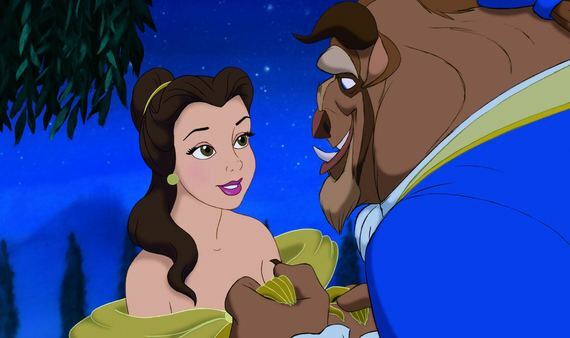 The Beast and Belle start bonding and falling in love. Beauty and the Beast is an extraordinary masterpiece for many of the reasons I mentioned, but what impresses me the most is the animation. Despite its now 25 years old and way before the first computer animation, there are scenes in the film where it incorporates 3D like effects and looks almost exactly like today's computer animation. To think that it was actually drawn by hand is spectacular and astonishing. On top of that, the voice over work is simply phenomenal, from singing to talking, each emotion and role is played ideally. Speaking of music, the songs in this animated classic are fantastically done from the beat to the lyrics, to the actual voiceover artists singing the songs, to very well-orchestrated scenes. The DVD also comes with several very cool bonus features. The most exciting to me is the sneak peak of the 2017 live action version of Beauty and the Beast with Emma Watson and Dan Stevens. It shows the cast reading lines, some special effects and even several sets. If that is not enough to spark viewers' curiosity, there are also many facts about Beauty and the Beast as well as some footage of the actual recording booths where the original cast recorded their lines. I also enjoyed the part when it talks about how Walt Disney never really got to do this story, even though he wanted to, and thus in 1991, his creative team did it to honor his wishes. My favorite scene is when Belle goes down to eat dinner in the castle for the first time. In this castle, all the servants are magically turned into utilities. Just to name a few, there are talking clocks, teapots, knives, a stove, wardrobes, candles and more. 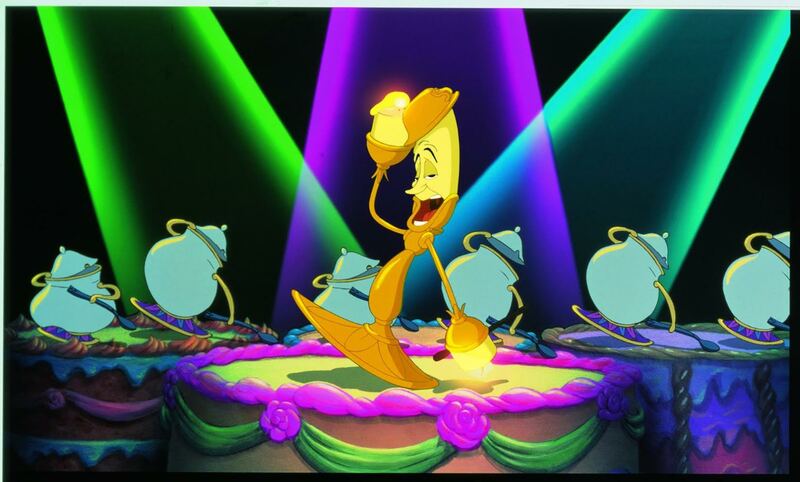 They all do a big musical number with the classic song, "Be my Guest", which sounds spectacular and the animated musical number has many parts that are just hysterical. Despite some violent scenes, it is still perfect for kids. I recommend it for ages 5 to 18. Younger kids may find the Beast scary or may not enjoy the more intense scenes. I give Beauty and the Beast 5 out of 5 stars for absolutely phenomenal animation, an exciting and detailed story, beautiful songs and emotional voiceover work. This DVD/Blu-ray/Digital HD comes out on September 20, 2016 so, be sure to look for it. Here's to another 25 years with a new generation!